Strategic communications and leadership development to rebuild our middle class, improve the quality of life in communities, and develop new leadership – that’s what I’m all about. As a consultant, union leader and educator, I build leadership and organizational development into everything we do together. Let's win today's fights and prepare stronger organizations for tomorrow. When our beloved city started down the wrong path, ignoring the Voting Rights Act and the decennial call to draw new district lines, we pulled together a coalition of concerned residents and grassroots organizations. With support from the American Civil Liberties Union and The James Irvine Foundation, the Oakland Votes Redistricting Coalition persuaded the City Council to conduct the required program of assessing population changes and protecting “one person, one vote” apportionment. Strong leadership from Urban Strategies Council, Alliance of Californians for Community Empowerment, Oakland Local and Oakland Rising improved community engagement: residents drew 36 maps and shared great stories about their neighborhoods with us. 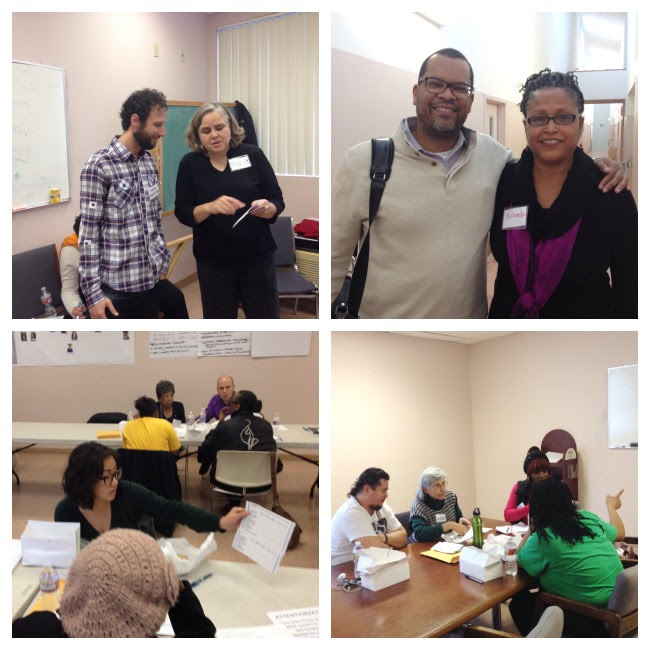 However, overall, the Oakland Votes Redistricting Coalition met with mixed success. The Council explicitly recognized prior gerrymandering but failed to fix it — that’s up to a Citizens and Residents Commission after the 2020 Census. Check out our recommendations for improving community engagement. 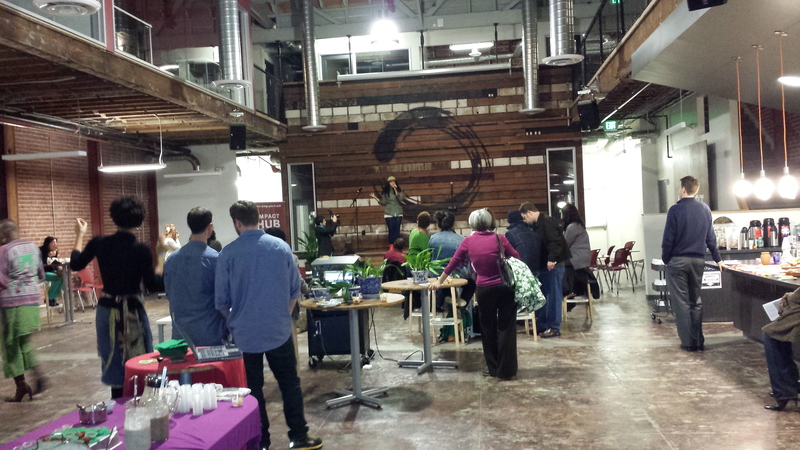 We threw a housewarming party for cool new neighbors in Uptown at Impact Hub Oakland. People who convene Oakland’s civic, cultural and commercial communities came together to see the magic in the space, part of the rebuilt Hive at 2323 Broadway in Uptown. Raptivist Aisha Fukushima performed, beautifully showcasing the room’s acoustics. Local cooks and chefs from Divinity Green, FlightDeck, Hunia’s Kitchen, Grace Hearth, Pican and Sweet Bar Bakery provided a scrumptious farm-to-fork tasting. Opportunity Partners conceived the event, worked with the Impact Hub Oakland team to identify supporters and attendees, and delivered an on-site logistical team to ensure success. And help sample the food! Thanks to all for a great night and the role that Hub Oakland plays as a crossroads and catalyst. The land use team at East Oakland Building Healthy Communities determined we’d host an advance, not a retreat, in January 2014, and speak with the city administrator about policies and projects in the pipeline that will impact quality, affordable housing for people who live in Oakland. 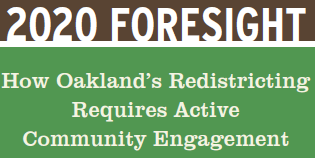 Oakland’s housing crisis affects tenants and homeowners, with gentrification and displacement threatening communities that provide essential social, cultural and political leadership. Residents shared their experiences and aspirations for healthy, vibrant and secure neighborhoods. We heard about projects — some well-known, others off the radar — and built a foundation for future relationships. We used Alliance for Justice’s coalition capacity assessment tool to target needed resources, and we shared ideas for future campaigns and policies. Watch http://www.eobhc.com for more as 2014 moves ahead!